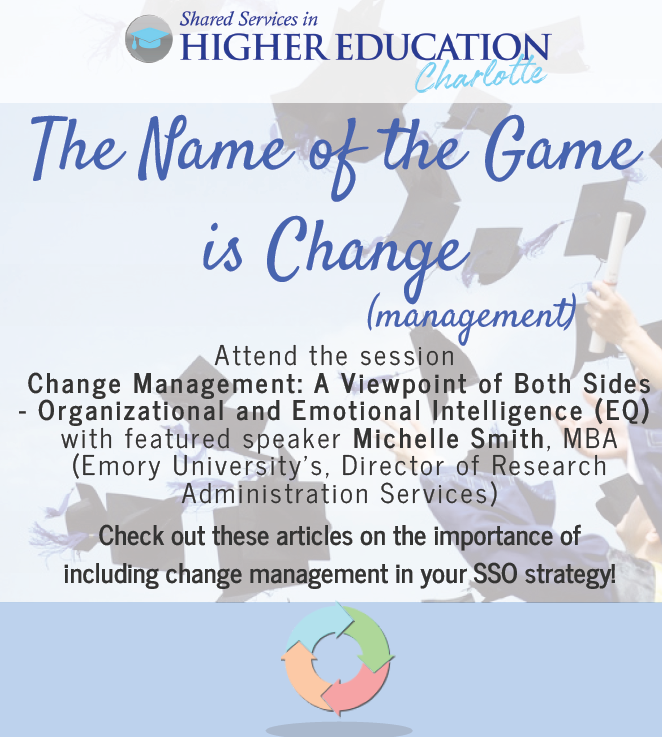 Change Management is one of the key topics that will be addressed at The Shared Services in Higher Education Charlotte event, running November 28-30th in Charlotte, NC. To familiarize yourself with some relevant information, feel free to review the articles in this interactive piece. Through networking, targeted sessions, and specific breakout groups, learn even more about the importance of implementing a solid change management strategy with your SSO at the event.